In this guide, we’ll show you how to get more power and better mileage out of your LML Duramax diesel equipped truck, by putting together the parts you’ll need for a full emissions (DPF and EGR) delete and tune. The main objective is for your truck to reach its maximum tire-frying (or fuel saving) potential. Deleting the failure-prone DPF and EGR emissions systems will allow your strangled truck to breath a lot easier and run much more efficiently, all without having the worry of inevitable factory emissions equipment failure. So, let’s get right down to it. There’s a ton of parts available for the 2011-2016 LML Duramax, and just as many choices on how to go about tuning it. Lots of different parts can get us from A to B in the delete roadmap, but there are some that stand out from the rest and we’ll go over the what part and the why in this guide – starting with two tuner options that are both delete capable. The powertrain control systems in modern trucks are so heavily tied into the emission system, when you try to run without these systems installed you’ll end up just throwing the engine computer into limp mode. This kills your mileage and performance, unless you have a way of controlling the engine computer to edit those functions out. One of the biggest requirements, and the first thing to look for in a tuner, is if it actually has the ability to actually delete the DPF and EGR systems. You’ll really want to make sure the tuner you get can do this, as there are some tuners out there that aren’t actually capable of programming the PCM to delete the factory emissions systems. The good news is that the H&S MiniMaxx Tuner does allow you control over the emission systems, and more. It’s not going to be able to push the limits of modern tuning technology, but it will definitely be able to allow you to delete the DPF and EGR and load up a pre-made tune for more HP or better mileage. Perhaps it’s best feature is how easy it is on the wallet, compared to the more modern tuners. It does give good value per dollar in how much it can improve your truck over stock. If you need more capability from a tuner, or if you want a tailored tune to squeeze the most out of your Duramax and it’s transmission, look no further than the EZ-Lynk. This little guy takes the tuning of your Duramax to a whole new level. It’s basically the future of tuning. You may notice that it doesn’t look at all like a traditional tuner, it completely lacks any sort of screen or buttons. This is because the EZ-Lynk is controlled completely by your smartphone. It works with Apple and Android phones, which gives it the ability to have what I believe to be one of the coolest tuner features I’ve ever seen: the ability to sync wirelessly with the EZ Lynk’s tuning “cloud” software. That means that you can upload information directly from your truck to your preferred custom tuning shop, and they can use that info to build your truck a truly personalized tune. All without having to bust out the laptop, which is pretty awesome in itself. It does cost a bit more than the entry-level H&S, but it makes up for it in features. The tune support from PPEI is the best option for nailing down the perfect tune for your truck, and the DSP5 switch allows you to switch between tunes on the fly (SOTF) which is an awesome feature. 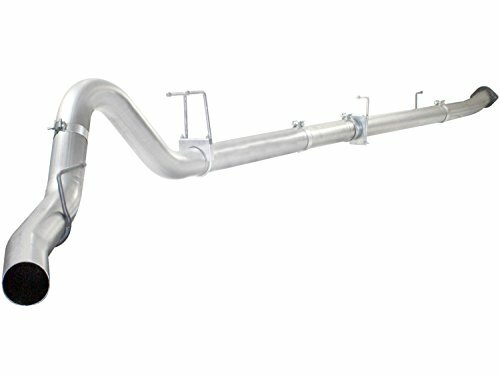 Replacing the section of the exhaust that normally contains the DPF is easy when you use a complete exhaust kit like this straight pipe system. 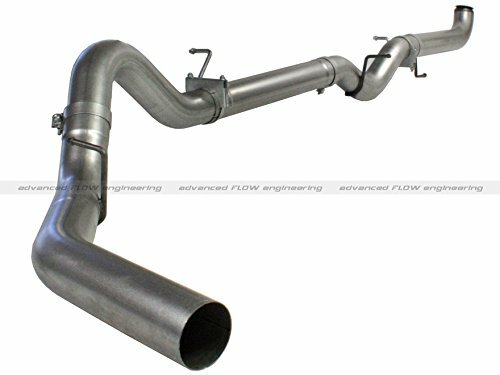 This exhaust kit comes ready to bolt directly to your downpipe and gives your turbo a straight shot directly out the back of your truck. As you can imagine, a straight shot without all the restrictions of the honeycomb DPF filter not only sounds better, it flows way better than before. Naturally, less restrictions = more power and more efficiency. 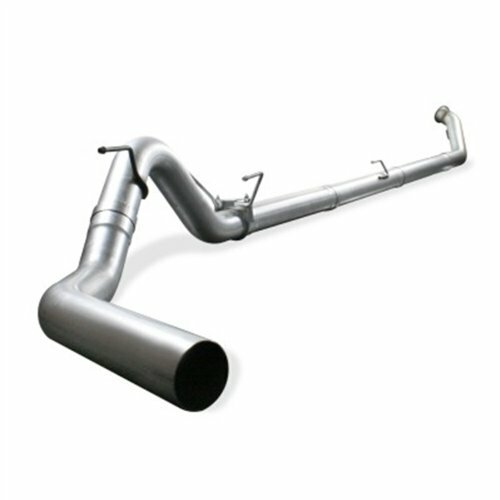 This exhaust kit works perfectly for deleting the LML trucks – even with different bed and cab configurations, although some of the shorter length models need to trim it down to fit. An EGR delete kit is actually sometimes more of a preventative repair item for LML duramax engines, because of how clogged the system gets. I see a lot of people having to do repairs on almost the entire EGR system over the trucks lifetime. Why not just get rid of the headache altogether. That’s where this kit comes into play. Now, it’s true that the EGR function can be edited out of the ECM with a tuner, and the EGR valve kept in its place, in which case you wouldn’t need a blockoff plate. There’s a possible failure when you do that though, the boost pressure from the turbo can still overcome the EGR valve even if the function is turned off, causing exhaust gasses to leak past the valve and into the intake. This blockoff kit eliminates that issue and ensures that the exhaust gasses cannot enter the intake tract at all anymore. If you’re wanting to tackle the install of this kit yourself, or if you’re looking for more information about EGR deletes for the LML, take a look at the install portion of this post. 2011-2016 GM 6.6L Duramax LML EGR Delete Increases off the line torque and horse power. Completely replaces/removes the entire EGR system. Enjoy quicker turbo spool and lower EGTs along with faster re-circulation of the coolant resulting in lower coolant temps. An EGR Delete capable race tuner is required in conjunction with this kit. After you tune the emissions requirements out with a delete tuner, and replace the exhaust to remove the DPF and DOC, you can then remove the terrible eyesore that is the DEF tank. This tank, if you hadn’t noticed, sticks out under the frame on the passenger side of your truck. Simply undo the sensors and filler, then unbolt the tank straps to get this plastic pee jug off your truck. No more worrying about filling the urea. That alone is worth all the trouble of the emissions delete. We hope this guide was helpful to you and gives you some direction on which parts you’ll need to put together and tune a full DPF and EGR delete package for your 2011-2016 Duramax. Thanks for reading and if you have questions or anything to add, feel free to reach out in the comments below!